The Galah can be easily identified by its rose-pink head, neck and underparts, with paler pink crown, and grey back, wings and undertail. Birds from the west of Australia have comparatively paler plumage. Galahs have a bouncing acrobatic flight, but spend much of the day sheltering from heat in the foliage of trees and shrubs. Huge noisy flocks of birds congregate and roost together at night. The Galah is generally unmistakable, but in flight may resemble a Gang-gang Cockatoo in shape. The Galah is one of the most abundant and familiar of the Australian parrots, occurring over most of Australia, including some offshore islands. The Galah is found in large flocks in a variety of timbered habitats, usually near water. 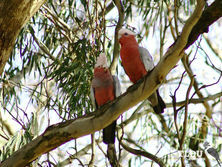 Galahs form permanent pair bonds, although a bird will take a new partner if the other one dies. The nest is a tree hollow or similar location, lined with leaves. Both sexes incubate the eggs and care for the young. There is high chick mortality in Galahs, with up to 50 % of chicks dying in the first six months. Galahs have been recorded breeding with other members of the cockatoo family, both in the wild and captivity. These include the Sulphur-crested Cockatoo. 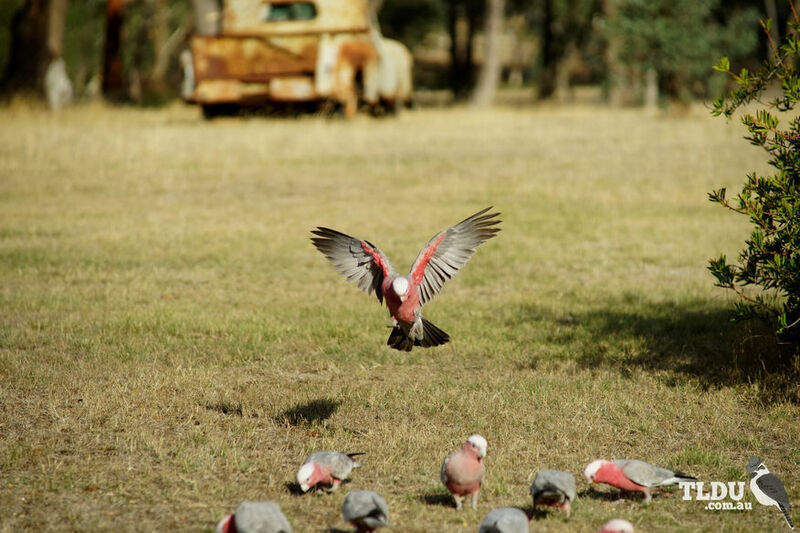 The Galah is becoming more abundant around areas of human habitation, with the growth in population largely a result of increasing availability of food and water. Escaped aviary birds have also contributed to these numbers.